Perhaps the most important factor in determining whether a party is good or horrible is the food. There had been numerous times when I heard people murmur something like, “At least the food was good,” on various occasions. And so we’ve listed down catering services by some of the best chefs in the country today, because when all else fails, you can never go wrong with their expertise and skills in serving the best food for your guests. Chef Winston Luna started his love for cooking at the tender age of six. After finishing his culinary programs at the International School for Culinary Arts and Hotel Management (ISCHAM) in 2010, he immediately established his catering service and went on catering food for top-billed companies and personalities. Clients commend Chefwix for its “masterfully crafted events” and the variety of cuisines that they offer. 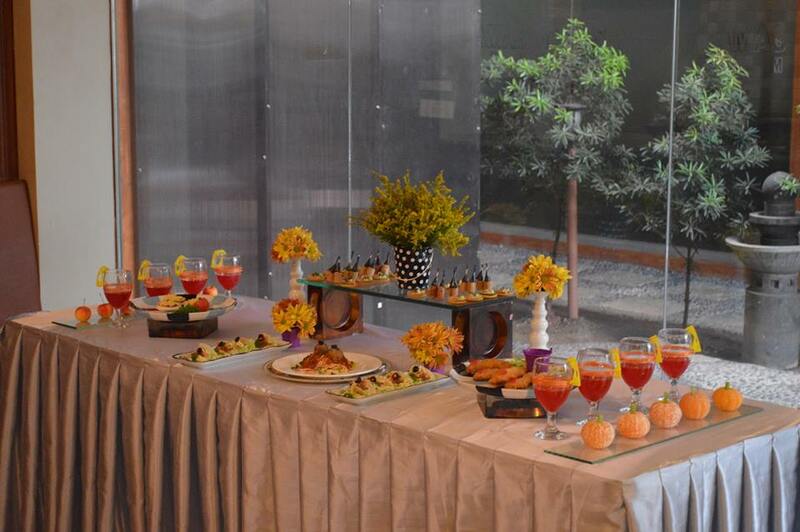 They also provide event setups that come along with the catering service at a reasonable price. This all-Filipino buffet restaurant also offers catering services when you decide to use one of their private function rooms or outdoor area for an event. Chef Laudico Guevarra’s has been around and talked- about for its old Spanish-Filipino interiors and the wide range of (good) Filipino food. Guests consider it the most reasonably-priced buffet restaurant for authentic Filipino food and the fact that chefs Roland and Jacqueline Laudico are the people behind the restaurant. Fores came at the top of the country’s food industry when she was named Asia’s Best Female Chef of 2016 by internationally recognized Asia’s 50 Best Restaurants. But prior to that, she had been a big name through her successful endeavors as a chef. As of today, Fores’s culinary career is 18 years old (turning 19 this year) and owns well-known restaurants like casual dining chain Cibo, contemporary restaurant Lusso, farm-to-table restaurant Grace Park, and high-end catering business Cibo di M. Launched in the late 80’s when Fores’s returned from a fruitful learning experience in Italy, Cibo di M is regarded for its Italian dishes and on-site home-style cooking. It is one of the most expensive catering services in the country, but it promises an individually-conceptualized menu, fine linens, silverware and glassware, and stylized floral arrangements that only Fores can achieve. A lot of us might be familiar with Jessie Sincioco as the chef who catered Pope Francis during his visit in 2015, but her knack for food has been recognized way before that. She won the Great Maya Cookfest in 1983; became the first Filipina pastry chef in 1990; received two L’Assiete D’ Or (gold award) for Best in Market Basket at the internationally-recognized Chefs On Parade competition in 1986 and 1992. She has opened and closed a couple of restaurants like Le Souffle, Papermoon, and Poppies, but is now ruling a larger culinary empire called JCS Gastronomie Inc. and opened her “Chef Jessie” restaurants and catering service. Whether it’s an intimate or casual, Chef Jessie always has something prepared for all kinds of events. Guests can choose among the various specialized menus consisting mostly of European, American, and Asian cuisine. One of its biggest caterings was held during a sit-down dinner for 3,200 people in November 2009. Those who have tried Chef Jessie are impressed with the food, service, and the adaptability of the menu, as well as the option to hold the event in one of Chef Jessie’s accredited locations or a location preferred by the guest. Businesswoman and restaurateur Happy Ongpauco-Tiu is also a chef, having finished her culinary studies at the Culinary Institute of America. She came back to the country and started venturing into restaurants, then into themed food carts, and a boutique hotel. She then ventured into catering after realizing her fondness for hosting dinners at her home. She would plan her recipes, food presentation, dinnerware, furniture, and centerpieces that would result in curated dining setups for guests. 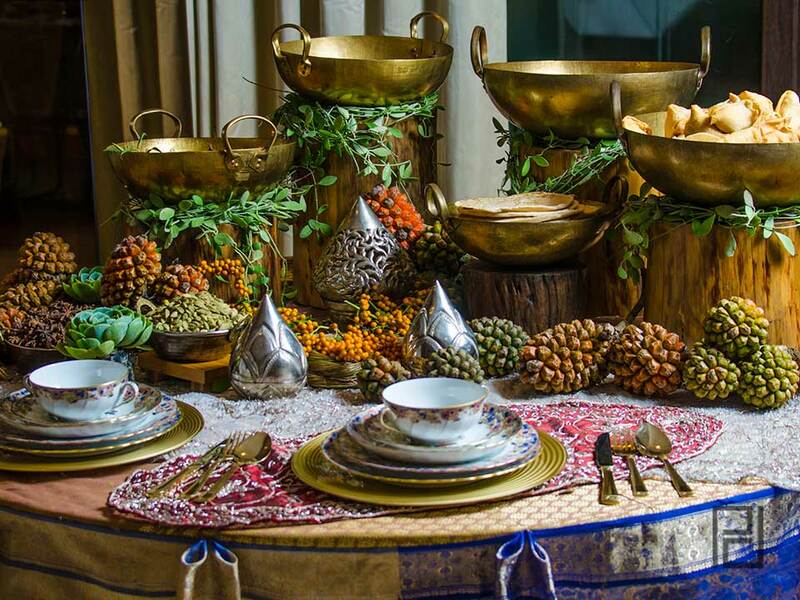 Because they specialize in bespoke catering, Private Dining offers Filipino, Indian, French, Thai, Spanish, Japanese, and Continental cuisine to suit all kinds of guests. Ongpauco-Tiu thoroughly learns a cuisine whenever she travels and adds that to her vast menu, and this makes Private Dining an in-demand service for known personalities and food enthusiasts.